The Mangledwurzels and support (7pm) at Charity Wassail at Rich's Farmhouse Cider, Watchfield, Highbridge, Somerset TA9 4RD (01278 783651) Burnham-On-Sea Rotary Club in association with Rich's Farmhouse Cider are holding their annual Wassail to raise money for charity (and ensure a good crop of apples, of course!). The Mangledwurzels plus support will be providing the entertainment. Tickets on sale later in the year. Bar 'til midnight, hog roast and hot mulled cider available. Bill Bailey at Work In Progress! at Leicester Square Theatre, Leicester Square, London WC2H 7BX (08448 733433) Bill has been busy working on the creation of new material and in a series of low-key dates will now be performing it live. This really is work in progress and a preparation (of sorts) for what he may or may not perform as his next large-scale show. So, all quite vague then and completely unmissable as a result. Tickets £15.00. The Mangledwurzels (7.30pm) at 8th Bristol Cider Festival at Brunel’s Old Station, Clock Tower Yard, Temple Meads, Bristol BS1 6QH. One of the largest gatherings of real ciders and perries - and cider and perry drinkers - in the West. There are three sessions - Friday: 7.30pm-11pm and Saturday: 11.30am-4pm and 7.30pm-11pm. Tickets on sale now priced £7.00 in advance; £8.00 on the door. Evening sessions tend to sell out in advance, so buying your tickets in advance is highly recommended. Tickets available from http://www.clstickets.co.uk; email clsbath@aol.com or phone 01225 330304. On offer will be over 100 ciders and perries including award-winning ciders from Somerset, Herefordshire, Hampshire and South Wales - as well as hog roast rolls and cheese platters, and a range of soft drinks for the drivers. As well as the cider and perry, the Bristol Cider Festival will offer the best in local entertainment. The Mangledwurzels will be playing a full show at all three sessions. The Mangledwurzels (11.30am) at 8th Bristol Cider Festival at Brunel’s Old Station, Clock Tower Yard, Temple Meads, Bristol BS1 6QH. One of the largest gatherings of real ciders and perries - and cider and perry drinkers - in the West. There are three sessions - Friday: 7.30pm-11pm and Saturday: 11.30am-4pm and 7.30pm-11pm. Tickets on sale now priced £7.00 in advance; £8.00 on the door. Evening sessions tend to sell out in advance, so buying your tickets in advance is highly recommended. Tickets available from http://www.clstickets.co.uk; email clsbath@aol.com or phone 01225 330304. On offer will be over 100 ciders and perries including award-winning ciders from Somerset, Herefordshire, Hampshire and South Wales - as well as hog roast rolls and cheese platters, and a range of soft drinks for the drivers. As well as the cider and perry, the Bristol Cider Festival will offer the best in local entertainment. The Mangledwurzels will be playing a full show at all three sessions. The Mangledwurzels (7.30pm) at 8th Bristol Cider Festival at Brunel’s Old Station, Clock Tower Yard, Temple Meads, Bristol BS1 6QH. This session has now sold out! One of the largest gatherings of real ciders and perries - and cider and perry drinkers - in the West. There are three sessions - Friday: 7.30pm-11pm and Saturday: 11.30am-4pm and 7.30pm-11pm. On offer will be over 100 ciders and perries including award-winning ciders from Somerset, Herefordshire, Hampshire and South Wales - as well as hog roast rolls and cheese platters, and a range of soft drinks for the drivers. As well as the cider and perry, the Bristol Cider Festival will offer the best in local entertainment. The Mangledwurzels will be playing a full show at all three sessions. The Plonkers at Real Ale and Cider Festival at The Dean Park Inn, Bournemouth, 41 Wimbourne Road, Bournemouth, Dorset, BH2 6NB. Now under new management, Tracey and her team welcome you to their Real Ale and Cider Festival. The festival runs from Friday 27th to Sun 29th January 2012; The Plonkers are playing live on the Saturday. Acker Bilk & The New Paramount Jazz Band (Ball Barber & Bilk) at Birmingham Town Hall, Birmingham. 3B's Concert with Acker Bilk, Chris Barber and Kenny Ball with their bands. Golly (The Plonkers) at A Burns Night Haggis Supper at St Clements Church Hall, Hamilton Close, Boscome, Bournemouth, BH1 4BX. The Coda Fiddle Orchestra present, a Burns Night Haggis Supper, in aid of The Children's Orchestra Charity. Golly the Plonker will be calling in his new tartan trousers at a Burns Ceilidh Supper, while clutching his haggis and scratching his sporran. Also performing is Jester Barney Bay. The Mangledwurzels (7.30pm) at 6th Bath Cider Festival at Bath Pavilion, North Parade, Bath BA2 4EU (01225 330304) One of the largest gatherings of real ciders and perries - and cider and perry drinkers - in the West. There are three sessions - Friday: 7.30pm-11pm and Saturday: 11.30am-4pm and 7.30pm-11pm. Tickets on sale now priced £7.00 in advance; £8.00 on the door. Evening sessions tend to sell out in advance, so buying your tickets in advance is highly recommended. Tickets available from http://www.clstickets.co.uk; email clsbath@aol.com or phone 01225 330304. On offer will be over 100 ciders and perries including award-winning ciders from Somerset, Herefordshire, Hampshire and South Wales - as well as hog roast rolls and cheese platters, and a range of soft drinks for the drivers. As well as the cider and perry, the Bristol Cider Festival will offer the best in local entertainment. The Mangledwurzels will be playing a full show at all three sessions. 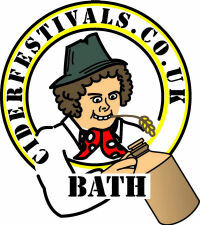 The Mangledwurzels (11.30am) at 6th Bath Cider Festival at Bath Pavilion, North Parade, Bath BA2 4EU (01225 330304) One of the largest gatherings of real ciders and perries - and cider and perry drinkers - in the West. There are three sessions - Friday: 7.30pm-11pm and Saturday: 11.30am-4pm and 7.30pm-11pm. Tickets on sale now priced £7.00 in advance; £8.00 on the door. Evening sessions tend to sell out in advance, so buying your tickets in advance is highly recommended. Tickets available from http://www.clstickets.co.uk; email clsbath@aol.com or phone 01225 330304. On offer will be over 100 ciders and perries including award-winning ciders from Somerset, Herefordshire, Hampshire and South Wales - as well as hog roast rolls and cheese platters, and a range of soft drinks for the drivers. 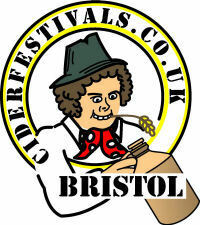 As well as the cider and perry, the Bristol Cider Festival will offer the best in local entertainment. The Mangledwurzels will be playing a full show at all three sessions. The Royal Oak in Nailsea - the pub where Adge Cutler and The Wurzels recorded their first two albums - has undergone a massive six-figure sum refit under the new stewardship of Steve Hurley, and to celebrate the reopening, have decided to recreate that seminal night in 1966 with a Adge Cutler tribute gig featuring The Mangledwurzels. Free entry. Normal pub opening times; The Mangledwurzels will be on stage from 7pm. The Mangledwurzels (7.45pm) at After Match Entertainment (Gloucester v Harlequins) at Gloucester Rugby Club, Kingsholm Rugby Stadium, Kingsholm Road, Kingsholm, Gloucester, Gloucestershire GL1 3AX (0871 8718781) The Gloucester v Harlequins match is a highlight of the Premiership season. 6pm kick-off; The Mangledwurzels will be performing from 7.45pm. Check the Gloucester Rugby website for further details on matchday ticket availability. Anyone with a match ticket can watch the show for free! Pete Shutler & Bonny Sartin (The Yetties) at The President's Party at Halsway Manor, Crowcombe, Taunton, Somerset TA4 4BD (01984 618274) The Yetties Weekend at Halsway has, naturally enough, come to an end but they have been persuaded to carry on organising a singing and dancing event. Bonny Sartin is Hon. President of Halsway Manor Society so this will be billed as 'The President's Party'. Guest musician will be Pete Shutler. If you are interested contact The Manor on 01984 618274 or email office@halswaymanor.org.uk. The Mangledwurzels (8pm) at Headley Park Community Centre, Headley Lane, Headley Park, Bristol BS13 7NW (0117 904 1751) Doors open 8pm. There will be a ploughman's, and a quiz; The Mangledwurzels will be on stage from 8.30pm. Tickets £6.00. The Mangledwurzels (8pm) at Waves Entertainment Centre, 17 East Walk, Yate Shopping Centre, Yate, South Gloucestershire BS37 4AS (01454 310007) Doors open at 8pm; no dress code (Wurzel/yokel dress optional! ); all ages welcome. Tickets £4.00 available in advance or from the venue on the night. The Mangledwurzels (9pm) at St Patrick's Day Bash at Yeovil Liberal Club, 94 Middle Street, Yeovil, Somerset BA20 1LT (01935 423037) Free entry. The Wurzels (7.30pm) at Axminster Guildhall, West Street, Axminster, Devon EX13 5NX (01297 33333) This is a fundraising event for the Axminster Guildhall. A licensed bar will be open on the night and a selection of ciders will be available. Tickets are now available in Archway Bookshop, Axminster. Tickets cost £13.00 in advance and £15.00 on the door (if there are tickets remaining). Early ticket purchase is recommended to avoid disappointment as tickets are selling fast. The Mangledwurzels (9pm) at Thatched Cottage Inn, 65-67 Charlton Road, Shepton Mallet, Somerset BA4 5QF (01749 342058) Free entry. The Wurzels plus The Skimmity Hitchers (8pm) at The Palace, Penel Orlieu, Bridgwater, Somerset TA6 3PF (01278 434507) Tickets £12.50 - on sale now! The Wurzels plus The Skimmity Hitchers (8pm) at Salisbury Arts Centre, Bedwin Street, Salisbury, Wiltshire SP1 3UT (01722 321744) Tickets £15.00 - on sale now! The Mangledwurzels at The Sloop Inn, Newton Road, Kingskerswell, Newton Abbot, Devon TQ12 5ES (01803 872979) Free entry. The Wurzels plus The Skimmity Hitchers (8pm) at The Fleece, 12 St Thomas Street, Bristol BS1 6JJ (0117 929 9008) Tickets £15.00 - on sale now! The Mangledwurzels (9pm) at Catherine's Inn, Bleadon Road, Bleadon, Weston-Super-Mare, BS24 0PZ (01934 812 275) Free entry. The Wurzels plus The Skimmity Hitchers (8pm) at Square and Compass Inn, Windmill Hill, Ashill, Ilminster, Somerset TA19 9NX (01823 480467) Tickets £15.00 - on sale now! The Mangledwurzels (8pm) at Ross on Wye RFC Fundraiser at Mighty 8, Unit 1 Chase Industrial Estate, Alton Road, Ross on Wye, Herefordshire HR9 5WA. An all-day charity fundraising event with a barn dance in the big hall with hay bales, Weston’s cider, food and a disco with live music from The Mangledwurzels in the evening. Tickets on sale now from Mighty 8 box office priced £5.00; tel: 01989 563567; email: info@mighty8.biz. The Plonkers at The New Forest Spring Fair at The Showground, New Park, Brockenhurst, Hampshire SO42 7QH. The New Forest Spring Fair & New Park Equestrian Spring Show will have a full programme of events in the display ring, country activities, trade stands and animals. This will be a fun filled day out for all the family and something for all ages including The Plonkers. Entrance fee: £5.00 per car. Somerset Paddies at The Barn, Wraxhall, Nailsea. Afternoon gig; full band. The Mangledwurzels (8pm) at The Motorhome Show at Royal Bath & West Showground, Shepton Mallet, Somerset BA4 6QN The Motorhome Show is one the the biggest in Europe. The event takes place over the weekend of 13th to 15th April 2012 from 9.30am to 5pm. The Mangledwurzels will be providing the evening's entertainment in the Westex Suite on the Friday evening; on stage between 8pm and 11.30pm. Camping Fees: If you arrive from Thursday – £40 or Friday – £35. Two Adults are included in the price. Children up to 16 years are FREE. Additional adults are £7.50 each. The Mangledwurzels (1.30pm & 5.15pm) at Matchday Cider Festial (Oxford vs Gillingham) at The Priory, Grenoble Road, Littlemore, Oxford, Oxfordshire OX4 4YY (01865 747033) Normal pub opening hours; The Mangledwurzels will be performing a 45 minute pre-match warm-up cider party set at 1.30pm and then the full two-set show after full-time from 5.15pm. Free entry. The Mangledwurzels (3pm) at 1st Royal Marine Cider Festival at The Royal Marine Inn, Great Western Terrace, Yeovil, Somerset BA21 5AA Normal pub opening hours, The Mangledwurzels will be on stage from 3pm. The Plonkers at Frank Sutton Ltd, Castle Garage, Monmouth Road, Raglan, Monmouthshire, NP15 2HH This year is their 50th year in business and they are having a celebration party and open day. This event is for all of the customers that have been dealing with Frank Sutton over the years. And of course, no 50th celebration would be complete without The Plonkers. The Wurzels, Rusty Shackle, Livestock Davies and The Lowdown Snakes, Sian & The Sugardaddys, Dom & Josh, Bobs Dabdown All Stars and The Dukes (Saturday) and Cinderford Brass Band, The Springfield Singers, Sian & The Sugardaddys, Trad Jazz Band, Male Voice Choir and Pip & Graham (Sunday) at 1st DABdown Festival at The Miners Arms, Whitecroft, Lydney, Gloucestershire GL15 4PE (01278 434507) A fantastic day of music and fun awaits in celebration of The Forest community, coming together in an effort to raise funds for local needs. So come and have fun and help the community. Saturday tickets £15.00 - on sale now! Bring your ticket with you on the following day and get in completely FREE for Sunday's entertainment. Tickets available from: Dorothy Maskrey ( 01594 562034 or 0779 025 2232) or The Miners Arms (01594 562483). Gates open at 2pm until late. Bill Bailey at Work In Progress! at Leicester Square Theatre, Leicester Square, London WC2H 7BX (08448 733433) Bill has been busy working on the creation of new material and in a series of low-key dates will now be performing it live. This really is work in progress and a preparation (of sorts) for what he may or may not perform as his next large-scale show. So, all quite vague then and completely unmissable as a result. Tickets £15.00. SOLD OUT! Somerset Paddies and Gidley's Turn at 2nd Cider & Sausage Sizzle at The Horse & Groom, Bittaford, nr Iyvbridge, Devon PL21 0EL (01752 892358). A two day charity fundraiser for the Erme Valley Riding For The Disabled. There will be 15+ regional ciders and 6 types of localy made sausages. The Somerset Paddies are playing on the Sunday afternoon. Somerset Paddies at Bayford Inn, Bayford, Wincanton Cancelled! The Mangledwurzels (4pm) at Cider Festival at The Plume Of Feathers, Half Moon Street, Sherborne, Dorset DT9 3LN (01935 816569) A weekend of cider-swilling in Sherborne. There will be live music all weekend, with The Mangledwurzels serving up an afternoon of Wurzels-flavoured, cider-fuelled Scrumpy & Western entertainment on the Sunday. Normal pub opening hours; The Mangledwurzels will be on stage from 4pm. free entry. The Mangledwurzels (8pm) at UWESU Beer & Cider Festival at RED Bar, UWE Students Union, F Block, Frenchay Campus, Bristol BS16 1QY. This is a students and guests only event. The Plonkers (10am-4.30pm) at Downton Cuckoo Fair, Downton, Salisbury, Wiltshire The Cuckoo Fair is held on the village greens in the picturesque village of Downton situated six miles south of Salisbury on the edge of the New Forest. The Plonkers will be appearing in the parade and later playing live 'on the green'. The New Forest Yokels (8pm) at Royal British Legion Boat Appeal at Hurn Sports Club, Hurn, Dorset. Bill Bailey, Rufus Hound, Pat Cahill & Charlie Baker MC at Union Chapel, Compton Avenue, London N1 2XD. Tickets on sale now priced £16.00. Doors & Bar open 6.30pm; Show starts 7.45pm. The Mangledwurzels (3pm) at Bank Holiday Family Fundday & Cider Festival at The Market House Inn, 21-23 High Street, Cullompton, Devon EX15 1AB (01884 32339) Normal pub opening hours; The Mangledwurzels will be performing from 3pm. Also expect Treasure Hunt and other fun and games, All day barbecue, children's ice-cream parlour, beer and cider tent selling cider and ales exclusively produced in the West Country. Free entry. The Mangledwurzels (8pm) at 'British Weekend' Charity Music Weekend at Ye Olde White Lion, 26 High Street, Bradninch, Exeter, Devon EX5 4QL (01392 881263) The Mangledwurzels will be playing as part of the 'British Weekend' Charity Music Weekend. Free entry all weekend. Friday evening session starts at 7.30pm with a disco followed by the Loose Cannons on stage from 9pm. Saturday events start from noon with a bring & buy sale, and a bouncy castle for the kids all afternoon. This is followed by a charity auction with a disco and 10ft Tall on stage from 9pm. Sunday events start from noon with the children’s activities (with pizes to be won!) and the bouncy castle all afternoon. There will be Pig Racing from 5pm followed by the Grande Raffle (tickets available now from The White Lion) and The Mangledwurzels on stage from 9pm. The Mangledwurzels (4pm-10pm) at Evening Meeting at Wincanton Racecourse, Wincanton, Somerset BA9 8BJ (01963 32344) A special evening weekday race meeting with a full race card, and live entertainment from The Mangledwurzels. Please note that your tickets for the races include seeing the band. Gates open at 4pm; first race: 6.05pm; final race 8.35pm. The Mangledwurzels will be performing a full 75 minute show after the final race. Tickets from £11.00; call the ticket hotline on 0844 5793014 or buy online. See the Wincanton Racecourse website for full details. The Mangledwurzels (9pm) at Mill Street Social Club, Mill Street, Wincanton, Somerset BA9 9AP (01963 33537) Free entry; Mill Street Social Club is an open venue (no membership required), but has a capacity of 80, so get there early to guarantee entry. The Mangledwurzels will be performing from 9pm. Bill Bailey in Qualmpeddler at Grand Theatre, St. Leonards Gate, Lancaster, Lancashire LA1 1NL (01524 64695) Bill Bailey had Doubts about the modern world, but these have now grown into Qualms. He will be channeling these feelings of Unease and Apprehension, with the help of Religious Dubstep, his folk bouzouki, Horntallica, a re-appraisal of some of the world's greatest works of art and perhaps a dub version of Downton Abbey. He looks at the Consequences of Lies, the Unending Search for the Higgs and the Hiding Skills of Dentists. Bill tries to confront his Cluster-Qualm of living in a Time of Spectacular Ignorance, Nuclear Worry, Rare Planetary Alignment and Spice Girl reunions that may be part of the Mayan End of Days prophecy. Come savour this Broth of Anxiety with Bill Bailey - Qualmpeddler. Tickets on sale now priced £17.50. Bill Bailey in Qualmpeddler at The Sands Centre, The Sands, Carlisle, Cumbria CA1 1JQ (01228 633 766) Bill Bailey had Doubts about the modern world, but these have now grown into Qualms. He will be channeling these feelings of Unease and Apprehension, with the help of Religious Dubstep, his folk bouzouki, Horntallica, a re-appraisal of some of the world's greatest works of art and perhaps a dub version of Downton Abbey. He looks at the Consequences of Lies, the Unending Search for the Higgs and the Hiding Skills of Dentists. Bill tries to confront his Cluster-Qualm of living in a Time of Spectacular Ignorance, Nuclear Worry, Rare Planetary Alignment and Spice Girl reunions that may be part of the Mayan End of Days prophecy. Come savour this Broth of Anxiety with Bill Bailey - Qualmpeddler. Tickets on sale now priced £17.50. Bill Bailey in Qualmpeddler at Clickimin Leisure Centre, North Lochside, Lerwick, Shetland Isles ZE1 0PJ (01595 741000) Bill Bailey had Doubts about the modern world, but these have now grown into Qualms. He will be channeling these feelings of Unease and Apprehension, with the help of Religious Dubstep, his folk bouzouki, Horntallica, a re-appraisal of some of the world's greatest works of art and perhaps a dub version of Downton Abbey. He looks at the Consequences of Lies, the Unending Search for the Higgs and the Hiding Skills of Dentists. Bill tries to confront his Cluster-Qualm of living in a Time of Spectacular Ignorance, Nuclear Worry, Rare Planetary Alignment and Spice Girl reunions that may be part of the Mayan End of Days prophecy. Come savour this Broth of Anxiety with Bill Bailey - Qualmpeddler. Tickets on sale now priced £17.50. The Plonkers (10am-5pm) at Althorp Estate Country Show at Althorp Estate, Althorp, Northampton, Northamptonshire NN7 4HQ Held in the grounds of historic Althorp, family home of the Spencer family, this Country Show is now in its third year, with all day entertainment including birds of prey, working dogs, children's entertainment as well as arts, crafts, gifts and food marquees. Also on Sunday at this event, is the Companion Dog Show - so bring along a canine friend and have a go! The Plonkers are playing live on both days. The Mangledwurzels at Trowbridge Cricket Club CANCELLED! Bill Bailey in Qualmpeddler at Pickaquoy Centre, Muddisgale Road, Kirkwall, Orkney KW15 1LR (01856 879900) Bill Bailey had Doubts about the modern world, but these have now grown into Qualms. He will be channeling these feelings of Unease and Apprehension, with the help of Religious Dubstep, his folk bouzouki, Horntallica, a re-appraisal of some of the world's greatest works of art and perhaps a dub version of Downton Abbey. He looks at the Consequences of Lies, the Unending Search for the Higgs and the Hiding Skills of Dentists. Bill tries to confront his Cluster-Qualm of living in a Time of Spectacular Ignorance, Nuclear Worry, Rare Planetary Alignment and Spice Girl reunions that may be part of the Mayan End of Days prophecy. Come savour this Broth of Anxiety with Bill Bailey - Qualmpeddler. Tickets on sale now priced £17.50. Bill Bailey in Qualmpeddler at Queens Hall, Argyll Street, Dunoon, Argyll and Bute, PA23 7HH. Bill Bailey had Doubts about the modern world, but these have now grown into Qualms. He will be channeling these feelings of Unease and Apprehension, with the help of Religious Dubstep, his folk bouzouki, Horntallica, a re-appraisal of some of the world's greatest works of art and perhaps a dub version of Downton Abbey. He looks at the Consequences of Lies, the Unending Search for the Higgs and the Hiding Skills of Dentists. Bill tries to confront his Cluster-Qualm of living in a Time of Spectacular Ignorance, Nuclear Worry, Rare Planetary Alignment and Spice Girl reunions that may be part of the Mayan End of Days prophecy. Come savour this Broth of Anxiety with Bill Bailey - Qualmpeddler. Tickets on sale now priced £17.50. Bill Bailey in Qualmpeddler at Corran Halls, Corran Esplanade, Oban, Argyll and Bute, PA34 5AB (01631 567333) Bill Bailey had Doubts about the modern world, but these have now grown into Qualms. He will be channeling these feelings of Unease and Apprehension, with the help of Religious Dubstep, his folk bouzouki, Horntallica, a re-appraisal of some of the world's greatest works of art and perhaps a dub version of Downton Abbey. He looks at the Consequences of Lies, the Unending Search for the Higgs and the Hiding Skills of Dentists. Bill tries to confront his Cluster-Qualm of living in a Time of Spectacular Ignorance, Nuclear Worry, Rare Planetary Alignment and Spice Girl reunions that may be part of the Mayan End of Days prophecy. Come savour this Broth of Anxiety with Bill Bailey - Qualmpeddler. Tickets on sale now priced £17.50. The Wurzels and The Skimmity Hitchers at Wimborne Football Club, Cowgrove, Wimborne, Dorset BH21 4EL Tickets £15.00 - on sale now! Call 01202 884821 for tickets and further information. The Mangledwurzels plus support (7pm) at Haydon Que and Social Club, Kilmersdon Road, Haydon, Radstock, Somerset BA3 3QR (01761 437338) Tickets £3.00; available on the door only. U18s to present suitable ID. The Plonkers (8pm) at Worplesdon Jubilee Fayre & Barn Dance at Worplesdon Parish Hall, Worplesdon, Surrey. The Worplesdon Jubilee Fayre is an all day event held in the Memorial Ground running from 4-7pm with lots of fun for all the family, including fancy dress, egg and spoon, tug-of-war, fun fair, vintage cars, fire engines, bouncy castles, marching band, steam engines and plenty of stalls and food. This is followed by the Barn Dance in the Parish Hall from 8-11pm with The Plonkers. Bill Bailey in Qualmpeddler at An Lanntair Arts Centre, Kenneth Street, Stornoway HS1 2DS (01851 708 480) Bill Bailey had Doubts about the modern world, but these have now grown into Qualms. He will be channeling these feelings of Unease and Apprehension, with the help of Religious Dubstep, his folk bouzouki, Horntallica, a re-appraisal of some of the world's greatest works of art and perhaps a dub version of Downton Abbey. He looks at the Consequences of Lies, the Unending Search for the Higgs and the Hiding Skills of Dentists. Bill tries to confront his Cluster-Qualm of living in a Time of Spectacular Ignorance, Nuclear Worry, Rare Planetary Alignment and Spice Girl reunions that may be part of the Mayan End of Days prophecy. Come savour this Broth of Anxiety with Bill Bailey - Qualmpeddler. Tickets on sale now priced £17.50. The Plonkers (10am-5pm) at The Maidstone Town & Country Show at Mote Park, Maidstone, Kent ME15 7RN. Set in the rolling parkland of Mote Park, right in the heart of Maidstone, this is a Family Show with all day entertainment including birds of prey, working dogs, children's entertainment as well as arts, crafts, gifts and food marquees. The Plonkers are playing live on both days. Bill Bailey in Qualmpeddler at Portree Community Centre, Camanachd Square, Portree, Isle of Skye IV51 9BW (01478 613736) Bill Bailey had Doubts about the modern world, but these have now grown into Qualms. He will be channeling these feelings of Unease and Apprehension, with the help of Religious Dubstep, his folk bouzouki, Horntallica, a re-appraisal of some of the world's greatest works of art and perhaps a dub version of Downton Abbey. He looks at the Consequences of Lies, the Unending Search for the Higgs and the Hiding Skills of Dentists. Bill tries to confront his Cluster-Qualm of living in a Time of Spectacular Ignorance, Nuclear Worry, Rare Planetary Alignment and Spice Girl reunions that may be part of the Mayan End of Days prophecy. Come savour this Broth of Anxiety with Bill Bailey - Qualmpeddler. Tickets on sale now priced £17.50. The Mangledwurzels at Royal Bath and West Show at The Royal Bath and West Showground, Shepton Mallet, Somerset BA4 6QN (01749 822200) A great day out in Somerset for families, friends and rural enthusiasts. The Mangledwurzels have been booked to play two 40 minute slots on the Village Green on the Thursday; times to be confirmed. As well as music, you can expect art exhibitions, rural crafts and local produce to a miniature railway, falconry displays and terrier racing - there's more happening than you think at the country's premier agricultural show. Advance tickets on sale priced at £19.00 from bathandwest.com; tickets are also available on the gate. Ticket price includes free parking. Combyne Arvester, The Somerset Paddies, Surfin Turnips, The Skimmity Hitchers, The Fanzines, Mad Manners, The Communicators, The Fallen Apples, The Cherry Pickers, Magic Candle (noon-late) at Scrumpstock Festival at Oaktree Farm Arena, Highbridge, Somerset. Srumpstock is a brand new festival celebrating many aspects of Somerset culture - apples and cider, Adge Cutler and The Wurzels. As well as the live music there will be a cider bar, hot food market and local somerset produce. Doors will open at noon on Saturday, with fun activities such as welly wanging and a human agility course; music from 5pm with comedy acts, entertainment and DJs also providing entertainment into the late hours. Weekend tickets are now available at £17.50 which includes booking, camping, parking and postage fees, this will include 2 nights camping and entry for both days entertainment. Day tickets are priced at £11 per day for those not wishing to stay over! The Plonkers (10am-5pm) at Border City Steam Fair at Rickerby Park, Carlisle, Cumbria CA3 9AA The steam fair is held annually at Rickerby Park in Carlisle a lovely riverside setting within walking distance of the city centre and offers easy access to and from the M6. The Plonkers are playing live on all three days. The Mangledwurzels (9pm) at Diamond Jubilee Party at Mill Farm Caravan and Camping Park, Mill Farm, Watery Lane, Fiddington, Bridgwater, Somerset TA5 1JQ. Campers and guests only! The Mangledwurzels (noon) at Diamond Jubilee Village Party at Ruishton Playing Field, Ruishton, Taunton, Somerset TA3 5JD All day event; The Mangledwurzels will be on stage from 3.15pm. Somerset Paddies at Tavern in the Town, Weston-super-Mare, Somerset. Afternoon gig; full band. The Mangledwurzels at Diamond Jubilee Village Party at Lymore Gardens Park, Lymore Gardens, Bath BA2 1AQ All day event; The Mangledwurzels will be on stage from 2.30pm. The Mangledwurzels and The Rhythmites (1pm) at Bath Fringe Festival 'Right Royal Lazy Sunday' at Royal Victoria Park, Bath BA1 2NR. CANCELLED Promoter cancelled the whole day's events after poor sales for a separate evening event. Apologies to anyone planning to attend our afternoon concert. Somerset Paddies at The Bristol, Clevedon. Afternoon gig. The Wurzels, U2-2, Rocker Covers, Shoot The Moon, Magnus Puto, The Thatchers at Somerset Cider Festival at Pawlett Pavillion, Gaunts Road, Pawlett, Somerset TA6 4SB (07866 513331) This festival promises to be a fun filled weekend full of cider, great music and more cider! (and lagers, beers, spirits. etc), Tickets Friday £10, Saturday £12, Weekend £20, Camping £3 per person. The Wurzels headline on the Saturday, due on stage at 7.30pm. The Wurzels, The Selecter, ODS, inME, Max Raptor, The Skints, Royal Gala, Captain Dangerous, Follow You Home, Tilted Smile, Wicker Sunday and others at Burtfest at Washlands Sports Centre, Meadow Road, Trent Road, Burton Upon Trent, Staffordshire DE14 1TD. Burtfest is a three-day festival that raises money for local community projects. The four stages running over 100 acts over the weekend and a range of genres including ska, rock, metal, reggae, indie, punk and comedy acts. The Wurzels headline on the Sunday. The festival is free for under 18's and also will have food stalls, fun fair, bouncy city and circus acts. See www.burtfest.com for tickets for tickets and further information. Tickets £45.00 Weekend Ticket; £20.00 Per Day. The Wurzels plus support (6.30pm) at Rotary Club Charity Fundraiser at The Barn, Rye Hill, Bere Regis, Wareham, Dorset BH20 7LP (01929 472327) Tickets £15.00 plus booking fee - on sale now! Under 14s go free, but only when accompanied by at least one paying adult. Gates open 6.30pm. The Mangledwurzels at West Country Summer BBQ at Holiday Inn, Bristol (0871 942 9014) Gig Cancelled! The Plonkers (10am-6pm) at Cambridge Town & Country Show at Parker's Piece, Gonville Place, Cambridge, Cambridgeshire CB1 1JF This free to enter show takes place right in the heart of historic Cambridge celebrating all that is great about the Country right in the middle of Town. Fully catered with a licensed bar. The Plonkers are playing live on both days. Somerset Paddies at The Farmers Arms, Ledbury Road, Lower Apperley, Gloucestershire GL19 4DR. Early evening gig; 3pc band. The Wurzels at Subscription Rooms, George Street, Stroud, Gloucestershire GL5 1AE (01453 760900) Tickets £13.00 - on sale now! The Mangledwurzels, Deep River Blue, Ros Cuthbert, Winscombe Primary Choir, Winscombe Community Choirs and Winscombe Majorettes (11am to 5pm) at Diamond Jubilee Extravaganza at Winscombe Primary School, Moorham Road, Winscombe, North Somerset BS25 1HH. A family fun day various family fun activities, food, cream teas, bar, hog roast and more. First band on at noon; The Mangledwurzels will be on stage from 2.30pm. The Mangledwurzels, Rock Dog, Killingnomurder and Maghera at Euro2012 Beer & Cider Festival at The Civic Centre, St Stephens Place, Trowbridge, Wiltshire BA14 8AH Cancelled! 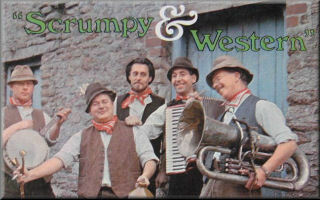 The Wurzels at The Blake Theatre, Almshouse Street, Monmouth, Gwent NP25 3XP (01600 719401) Tickets £15.50 - on sale now! The Mangledwurzels at Tribute Night & Dinner at The Gables Hotel, Bristol Road, Falfield, Gloucestershire GL12 8DL (01454 260502) Tickets are priced at £86.00 per person, including a hog roast, desserts and coffee. Guest ciders will be available! Tickets available now; to book please call the hotel on 01454 260502 or email conferenceandevets@thegablesbristol.co.uk. Doors open 7.30pm for meal at 8pm; The Mangledwurzels will be on stage from 9.30pm. The Wurzels (7.30pm) at The Grand Pier, Marine Parade, Weston super Mare, Somerset BS23 1AL (01934 620238) Tickets - Standard: £12.50; VIP: £19.50. The Mangledwurzels and BK Discos (9pm) at Barn Dance/Fundraiser at Uplowman Court Farm, Uplowman, Tiverton, Devon EX16 7DW (01884 821 690) Licenced bar (cider £1.00 a pint! ), hot dogs and bacon rolls. Wurzels fancy dress optional! Tickets £10.00 available now from Hayley Blake on 01884 821690. The Plonkers (10am-5pm) at Tunbridge Wells Town & Country Show at Dunorlan Park Events Fields, Royal Tunbridge Wells, Kent TN2 3QA This show is in the lovely Dunorlan Park in the heart of Tunbridge Wells. A Family Country Show with all day entertainment including birds of prey, working dogs, children's entertainment as well as arts, crafts, gifts and food marquees. The Plonkers are playing live on both days. The Mangledwurzels plus Aloud Sounds Disco at Young Farmers Fundraiser at Creech Hill Farm, Bruton, Somerset BA10 0QH (07765 781468) Tickets £10.00 in advance; £15.00 on the door on sale now from Evie on 07765 781468. Licenced bar with Lilley's Ciders, and barbecue. The Mangledwurzels at Beer and Cider Festival at The Friendship Inn, 8 Stock Way North, Nailsea, North Somerset BS48 1AQ (01275 859638). Normal pub opening hours; The Mangledwurzels will be on stage from 9pm. Somerset Paddies at Nailsea & Backwell Beer and Cider Festival, Nailsea. Afternoon gig. The Plonkers (10am-5pm) at The New Forest and Hampshire County Show at The Showground, New Park, Brockenhurst, Hampshire, SO42 7QH The New Forest and Hampshire County Show is an annual agricultural show held for three days at the end of July at New Park, Brockenhurst in Hampshire. The show aims to create a great family day out with much to do, learn and see. Last year the show attracted, over 100,000 visitors and brings together a celebration of traditional country pursuits, crafts, produce and entertainment, and this year sees the return of the legendary original Plonkers playing at 10-11am, noon-1pm, 2-3pm and 4-5pm on all three show days. The Mangledwurzels (9pm) at Cider Festival at The Bell On The Common, The Common, Broughton Gifford, Melksham, Wiltshire SN12 8LX (01225 782309) A weekend of cider-swilling with The Mangledwurzels playing on the Friday. Free entry. Normal pub opening hours; The Mangledwurzels will be on stage from 9pm. The Plonkers at Torbay Steam Fair at Torbay Steam Fair Showground, Torbay, Devon. The Plonkers are playing live on all three days. The Wurzels at Annual Blackthorn Cider Festival at Bath Racecourse, Lansdown, Bath, Somerset BA1 9BU (01225 424609) The Wurzels will be playing after the last race. The Mangledwurzels (7.30pm-11pm) at 9th Bristol Cider Festival at Brunel’s Old Station, Clock Tower Yard, Temple Meads, Bristol BS1 6QH. The 9th Bristol Cider Festival is one of the largest gatherings of real ciders and perries - and cider and perry drinkers - in the West. There are three sessions - Friday: 7.30pm-11pm and Saturday: 11.30am-4pm and 7.30pm-11pm. Tickets on sale now - £7.00 in advance; £8.00 on the door from http://www.clstickets.co.uk; email clsbath@aol.com or phone 01225 330304. On offer will be over 100 ciders and perries including award-winning ciders from Somerset, Herefordshire, Hampshire and South Wales - as well as hog roast rolls and cheese platters, and a range of soft drinks for the drivers. The Mangledwurzels will be playing a full show at all sessions. The Mangledwurzels (11.30am-4pm) at 9th Bristol Cider Festival at Brunel’s Old Station, Clock Tower Yard, Temple Meads, Bristol BS1 6QH. The 9th Bristol Cider Festival is one of the largest gatherings of real ciders and perries - and cider and perry drinkers - in the West. There are three sessions - Friday: 7.30pm-11pm and Saturday: 11.30am-4pm and 7.30pm-11pm. Tickets on sale now - £7.00 in advance; £8.00 on the door from http://www.clstickets.co.uk; email clsbath@aol.com or phone 01225 330304. On offer will be over 100 ciders and perries including award-winning ciders from Somerset, Herefordshire, Hampshire and South Wales - as well as hog roast rolls and cheese platters, and a range of soft drinks for the drivers. The Mangledwurzels will be playing a full show at all sessions. Somerset Paddies at Wookey Hole Club. Evening gig. The Mangledwurzels (2pm) at The Hayling Island Scarecrow Festival at The Plaza, Eastoke Corner, South Hayling, Hayling Island, Hampshire PO11 9LU. Free entry. The event starts at 2pm; The Mangledwurzels will be performing from 3pm. Check venue website for more details. The Mangledwurzels at The Triangle Club, 1-3 Old Church Road, Clevedon, Someset BS21 6LZ (01275 872631) The Mangledwurzels will be performing from 9pm. Check venue website for ticket prices and availability. The Plonkers at The Gilcombe Festival of Transport at Gilcombe Farm, Bruton, Somerset BA10 0QE. The Plonkers will be playing live on all three days; more details and links soon. The Wurzels at Henri Lloyd Falmouth Week 2012 at Falmouth, Cornwall (01209 716 138) Henri Lloyd Falmouth Week has grown into one of the largest sailing regatta's in the south west with more than 300 yachts racing over eight days, and a lively programme of shoreside events. The Wurzels are pefroming on the Sunday as part of a Hog Roast and Cider Night. The Mangledwurzels at Cider Festival at Winyards Gap Inn, Chedington, Beaminster, Dorset DT8 3HY Free entry. Normal pub opening hours; The Mangledwurzels will be performing from 8pm, with a disco playing before, between and after their sets. Somerset Paddies (noon) at Charity Fun Day at Old Inn, Clevedon. Afternoon gig. Somerset Paddies at Priddy Fair at The Queen Victoria, Priddy, Somerset. Afternoon gig. The Wurzels, The Communicators, Daz & Friends, Teresa Alexander, Ryan Mills, Jake Sims, Stacey Lou Hunt, Beyond Control and Spectrum BS3 Dancers (7pm) at Daz's Rock 4 Charity at Colston Hall, Bristol (0117 922 3686) Bristol musician Daz has organised big charity concerts at the Colston Hall since 2007, and in that time over £60,000 has been raised for different charities. This year Daz’s Rock 4 Charity is supporting Children’s Hospice South West, registered charity number 1003314. CHSW supported Bristol, Bath and Ireland rugby player Kevin Maggs and his family when their daughter Jessica became poorly and unfortunately passed on. You can donate to this charity by visiting the Daz's Rock 4 Charity website. Tickets £10.00, on sale now. The Mangledwurzels (9pm) at The Mangledwurzels at The Beau Nash, 23 Milsom Street, Bath BA1 1DE (01225 310772) Free entry. Normal pub opening hours; The Mangledwurzels will be on stage from 9pm. The Wurzels at Cleve Cider Festival at The Hayfields, Cleve RFC, Mangotsfield, Bristol BS16 9EN (0117 957 5775) Festival opens at noon with entertainment, stalls and local bands from 1pm; The Wurzels on stage from 8.30pm. Tickets £8.00 per person; £20.00 family of four (2 adults, 2 children under 16). Entry by tickets only. Email: karenperrott@cleverugby.co.uk for more info. The Wurzels, The Blockheads, Mad Dog Mcrea, The Real Thing, N.U.M.B, Miles Hunt & Erica Nockalls (The Wonder Stuff); Tom Hingley & The Lovers (Ex Inspiral Carpets) plus others at Watchet Carnival Music Festival, The Down on Parsonage Farm, Watchet, Somerset. Watchet Live is a family friendly festival with amazing views of the stunning West Somerset coastline and beyond. Complete with on site camping, three stages including the famous Croissant Neuf solar powered venue, over 50 live acts bringing a wide range of high calibre musical acts not normally found performing in West Somerset at a affordable entrance price; The Wurzels are playing on the Sunday. Also Open Mic venue, The Something Else Tea Tent, Silent Disco, Food Court, Workshops, Festival Market, Real Ale and Cider Bar, Free Kids corner, secure on-site Car Parking and much more. Weekend Tickets with camping are £60 (Adults), £35 (Youths 13-17), Under 12’s are free. A Family Weekend Ticket for 2 Adults & 2 Youths is just £125. Weekend Tickets without camping are priced at just £45 (Adults), £25 (Youths 13-17), Under 12’s are free. A Family Ticket for 2 Adults & 2 Youths is £110. Day Tickets also available (£15/10). The Mangledwurzels at Hawkesbury Horticultural Show at Hawkesbury Village Hall and Showground, High Street, Hawkesbury Upton, Badminton, South Gloucestershire GL9 1BA The Hawkesbury Show attracts around 2,500 visitors each year. The main attraction is the large produce marquee, full of the biggest and best fruit, vegetables and flowers as well as crafts, home baking, wine, photographs and pictures. Another key part of the show is the wonderful carnival procession that runs through the village and into the arena on the recreation ground. The beer tent is well stocked and there are plenty of stalls to browse. If it's thrills you are after then the funfair is where you'll be headed with dodgems, waltzers and plenty more. There will be entertainment in the central arena, as well as fairground rides, a deer roast, beer tent, raffle, live music from a local silver band, archery displays and local crafts and produce stalls, so there is something for everyone. The popular carnival procession begins with the crowning of the carnival queen before travelling through the village to the Show Ground. Gates open at 12.30pm, and the evening entertainment starts at 6.30pm, with three live bands culminating with a 75 minute show from The Mangledwurzels. Somerset Paddies at Fun Day at Shield & Dagger, Whitchurch, Bristol. Afternoon gig; full band. The Mangledwurzels, Mrs Crotty's Ceilidh Band and Bad Knees Blues Band at The Port of Dartmouth Royal Regatta at The Bandstand in Coronation Park, College Way, Dartmouth, Devon TQ6 9NN (01803 834912) The Regatta is based around a programme of rowing and sailing events, but also incorporates a busy programme of activities including air displays, fireworks, a large fair, live music all weekend in The Bandstand in Coronation Park, and many other smaller events that happen in and around the town centre. The Mangledwurzels, Mrs Crotty's Ceilidh Band and Bad Knees Blues Band will be performing at a brand new Regatta Shindig event as part of the The Port of Dartmouth Royal Regatta on Bank holiday Monday. Tickets priced £10.00 adults, £5.00 under 15s, under 5s free; available now from The Flavel Centre or Dartmouth Tourist Information Centre. Gates opening at 6.30pm; The Mangledwurzels will be on stage from 9pm. Somerset Paddies at Railway Inn, Yatton. The Wurzels, The Plonkers, The New Forest Yokels and various other bands at Great Dorset Steam Fair, Blandford Forum, Dorset DT11 8HX (01258 861238 / 861239). The Great Dorset Steam Fair Music Festival has live bands across five days on five stages; see website for full details of who is playing where and when. The Mangledwurzels (9pm) at Newdigate Arms, Newdigate Road, Bedworth, Warwickshire CV12 8EF (02476 313303) Entry by ticket - contact the venue directly for prices and availability. Normal pub opening hours; The Mangledwurzels will be on stage from 9pm. The Mangledwurzels (noon) at Charity Fundraising Cider Festival at Living Coasts, Torquay Harbourside, Beacon Quay, Torquay, Devon TQ1 2BG Gates open at noon; The Mangledwurzels will be performing three sets between 1pm and 5.30pm. The Plonkers (10am to 4pm) at Autumn Plant & Gift Fair at Longstock Park Nursery, Longstock, Stockbridge, Hamsphire SO20 6EH. A charity fundraiser in aid of the North Hampshire Medical Fund. 25 to 30 stalls including Chelsea gold medallists and a variety of produce and sundries stalls. Home-Made Cakes & Teas, Local Produce, Free Parking. Adults £4.00; children: free. The Wurzels at Welland Steam and Country Rally at Woodside Farm, Upton-Upon-Severn, Worcestershire WR13 6NG (01531 890 762) The Welland Steam and Country Rally is held every year over 3 days, on the last weekend in July. The Rally promises a day(s) of nostalgia, sights, sounds, colour and movement for every member of the family as you take a trip down memory lane to the days when steam power reigned supreme on the roads, farm and fairground. Tickets - adult £10.00, children & OAPs £8.00, children under 11 Free. Gates open 9.30am daily and close at 7.00pm. Dogs are welcome, but in the interests of safety, must be on leads at all times. The Wurzels are playing on the Saturday. The Mangledwurzels at Wheathill Golf Club, Wheathill, Lydford on Fosse, Somerton, Somerset TA11 7HG (01963 240667) £12.50 per ticket includng food and entrance drink. The Mangledwurzels (9pm) at Cider Festival at Amber Cafe Bar, 54 High Street, Evesham, Worcestershire WR11 4HG (01386 442217) Free entry. Normal pub opening hours; The Mangledwurzels will be on stage from 9pm. The Mangledwurzels (2pm) at Chard Carnival Funday & BBQ at Kings Head Pub, Church Street, Chard, Somerset TA20 2DW (01460 62564) Free entry. Normal pub opening hours; The Mangledwurzels will be on stage from 2pm. The Mangledwurzels (7.30pm) at Charity Fundraiser at Minehead Rugby Club, The Tom Stewart Field, Ellicombe Lane, Ellicombe, Minehead, Somerset TA24 6TR (01643 707 155) Charity Event in aid of Dunster Cricket Club. The tickets £6.00 in advance; £8.00 on the door. Ticket on sale now from Minehead Barbarians FC, and Dunster Castle Hotel. Disco till late, fully licensed bar. Doors open 7.30pm; The Mangledwurzels will be performing from 9pm. The Mangledwurzels (10.30am-3pm) at Apple Day at Lacock Abbey Botanic Garden, Lacock Abbey, High Street, Lacock, Chippenham, Wiltshire SN15 2LG (01249 730459) Celebrate the changing of the season and the falling of leaves and fruit at our 'apeeling' event for all ages. Enjoy music from The Mangledwurzels, dancing, refreshments, hog roast, craft activities, apple tastings, orchard tours and more at our ever popular annual event. Free event; but normal admission charges apply - see website for details. For more information call Visitor Reception on 01249 730459. Gates open: 10.30am; Last admission time: 2pm; event ends at 3pm. The Mangledwurzels will be playing three half-hour sets at noon, 1am and 2am. Booking not needed. Accompanied children are welcome. Assistance Dogs only are welcome. Please wear weather appropriate outdoor clothing. This event takes place in the Botanic Garden and the Orchard. The grounds are level, however, a lot of the activities take place on grass and that could be wet. The Wurzels and The Letters (6.30pm) at Marshfield Cricket Club, Broadleys, Marshfield, Wiltshire SN14 8AB. Tickets are priced at £12.00 (no concessions) and now available from any club committee member, Central Stores in Marshfield, Moto Extreme in Marshfield, The Fox & Hounds in Colerne, and Marshfield Bakery Shop on the A46. Real Ale, Ciders and Refreshments on sale throughout the event. The venue is standing only. The Wurzels at Sub89, 110-117 Friar Street, Reading, Berkshire RG1 1EP Tickets £14.00 - on sale now! Date rearranged from Friday 16th. The Mangledwurzels (7pm) at Bonfire/Fireworks Party at The Highwayman Inn, Cannards Grave, Shepton Mallet, Somerset BA4 4LY (01749 331247) Normal pub opening hours; The Mangledwurzels will be performing a two-set show at 7pm with the firework display between sets. Outside gig (so dress accordingly!) with bar and barbecue. The Mangledwurzels at Cadbury Heath Social Club, Cadbury Heath Road, Warmley, Bristol BS30 8BX (0117 961 3526) The Mangledwurzels will be on stage between 8:45pm & midnight; contact venue directly for more details. The Plonkers (6pm) - The Barton On Sea Christmas Lights Switch On Ceremony at Byron Road, Barton on Sea, New Milton, Hampshire. Ambitious plans have been put in place to make New Milton really come alive for the start of the Christmas Festivities in 2012 over the weekend of Saturday 1st December and Sunday 2nd December. The Main New Milton Christmas Festival will be held in the Centre of New Milton on Saturday 1st December and over the weekend there will also be Carol Services, Concerts and the weekend will conclude with the Switch on of The Christmas Lights in Byron Road, Barton on Sea. Once again the fantastic residents of Byron Road have created a wonderland of Christmas lights in their road. The switch on is on Sunday at 6pm and its all going to be Plonkerised by The Plonkers, something not to be missed as those who have attended in previous years will vouch. The Wurzels (7.30pm) at Christmas Show at The Tunnels, Arches 31 & 32, Lower Station Approach Road, Bristol BS1 6QF. Date confirmed; tickets on sale now £10.50. The Mangledwurzels (9pm) at Wurzels Tribute & Buffet Night at The George Inn, Nettlebridge, Oakhill, Shepton Mallet BA3 5AB (01749 841360) Normal pub opening hours; The Mangledwurzels will be on stage from 9pm. The Mangledwurzels (8pm) at The Horse Pond, The Triangle, Castle Cary, Somerset BA7 7BD. Free entry. Normal pub opening hours; The Mangledwurzels will be on stage from 8pm. The Wurzels at "Oooh What A Night" New Year's Eve Party at Hempsted Meadows, Gloucester, Gloucestershire (07716 502789) Standard Ticket - £100.00; VIP Ticket - £150.00. This is a strictly over 18's event and ID may be requested at the door. Dress code; dress to impress; no trainers.The event includes several entertainment performances, headlined by The Wurzels who will perform a full set. 'Ere Whacks (9pm-2013) at Dog and Fox, Bradford on Avon, Wiltshire Free entry.